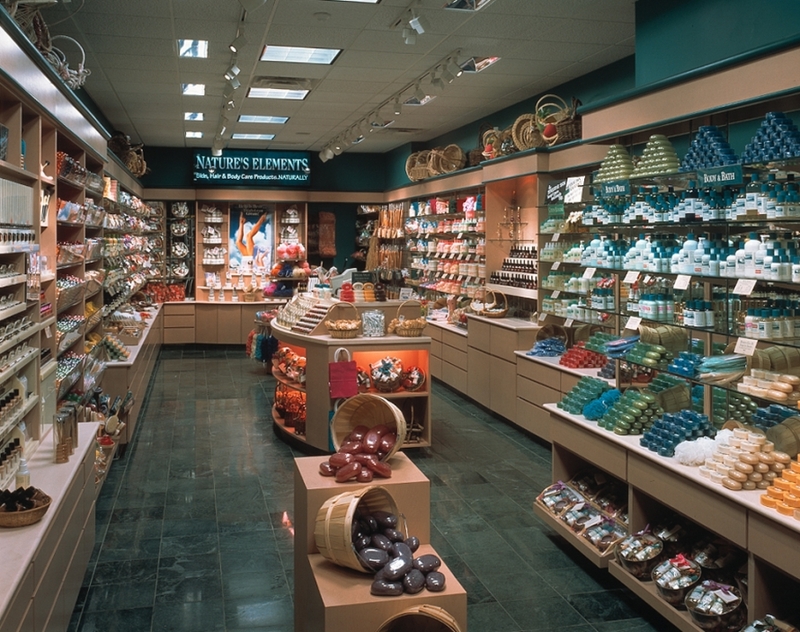 Nature's Elements, a retailer of skin and hair care products, commissioned Richard M. Cole & Associates to design and implement construction of 25 stores in only nine months. 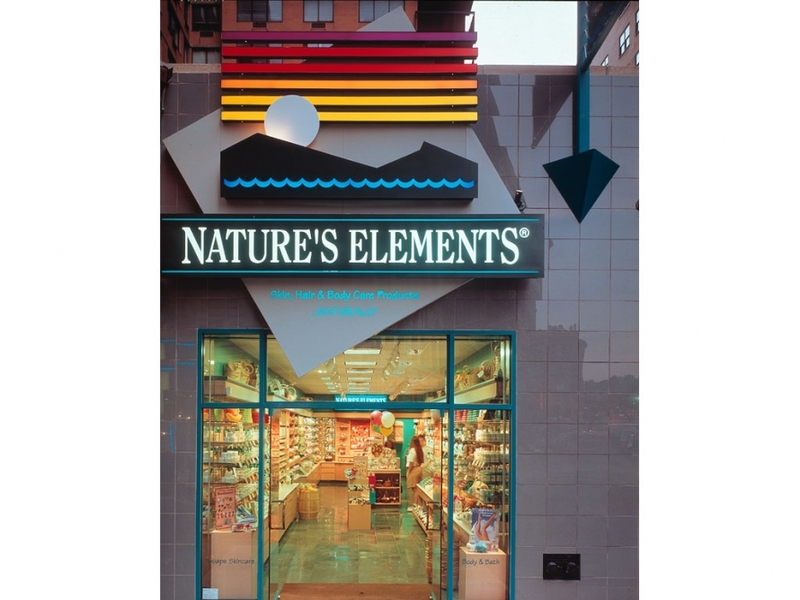 The designs had to be consistent with Nature's Elements corporate identity, while accommodating shops ranging from 800 to 2,000 square feet at locations as diverse as urban storefronts, shopping malls and historic buildings. In New York City's Greenwich Village, for example, the challenge was to attract shoppers' attention to a store only 14 feet wide. 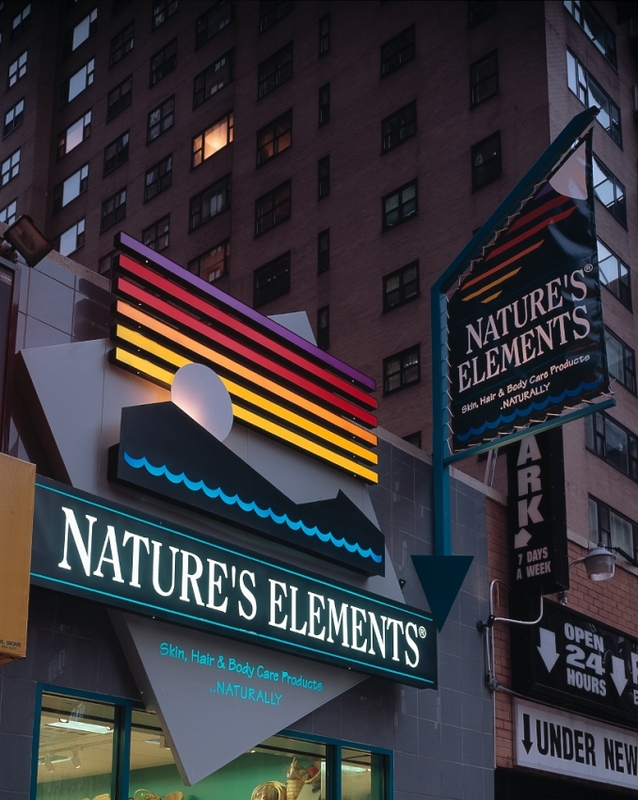 RMC&A solved the problem by reinterpreting the store's standard logo as a three-dimensional sign with projecting banners, visible from several blocks away.